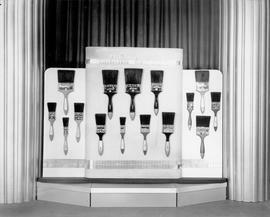 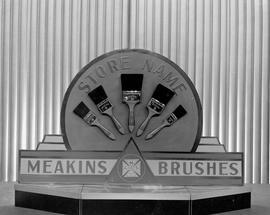 Item is a photograph of a display of paint brushes manufactured by Meakins & Sons Limited. 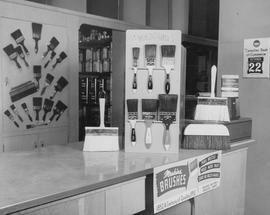 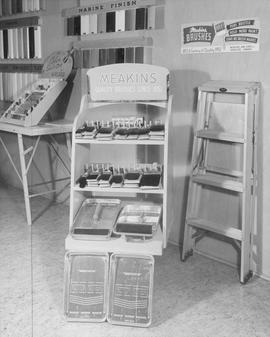 Item is an image of a display of painting products by Meakins & Sons Ltd., 125 Wellington Street North, Hamilton. 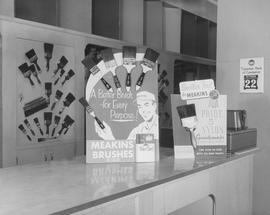 Item is an image of a display of paint brushes by Meakins & Sons Ltd., 125 Wellington Street North, Hamilton. 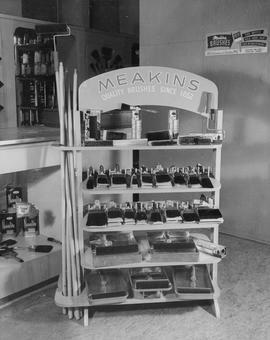 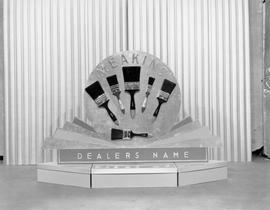 Item is a photograph of a display of painting products by Meakins & Sons Ltd., 125 Wellington Street North.